that not only encourages and edifies, but also speaks the truth in love. 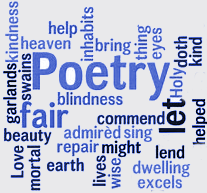 Devotional Poetry, Poems featuring "Our Eternal Home - Heaven"
Devotional poetry - poems that are intended to encourage, build faith and draw believers into more of a love for God's Word. This poem is about our eternal home in heaven and what we can expect. Clothed in majesty, He comes to set up His throne. With promises fulfilled, He prepares a place to be shown. With eyes not seeing nor ears hearing, beauty awaits. According to our desires, the Great Architect mandates. Clothed with new celestial bodies, we reign in the unknown. With the sting of death removed, we rejoice forevermore. In His healing waters, without pain or sorrow, we adore. Bearing the image of the heavenly, we’re raised incorruptible. In a moment, in the twinkling of an eye, we’re changed, indestructible. In His presence, fullness of joy is given with pleasures, forevermore. Reunited with those who went before us, we bask and savor. With hearts filled with wonder, we explore and discover. With beauty in all that’s prepared, discovery surpasses imagination. Walking on streets paved in pure gold, we revel in celebration. With all revealed, we bask in our inheritance, fully discovered. With discovery, we discern all that’s His is ours to possess. All that we see, hear and feel brings delight to the senses. Clear as crystal, a river flows from the throne of the Lamb. With curses removed, there’s no darkness to be found. Those saved, walk in the light of His glory, homeward bound. We march forward looking for the eternal city, as pilgrims. Leaving the world's temporary things behind, we press forward. Looking for the city, whose builder is God, we're rewarded. With the Invisible kingdom in sight, we're transported..
Oh, that we might discover the path leading to this eternal home. With His sacrificial Lamb given, the way is shown to His throne. Giving ourselves to the sacrificial Lamb, the path is discovered. We discover, His Son, Jesus, the gateway to the path, uncovered. We give thanks to our faithful Father, who reveals our way home. Scripture references: Psalm 8:5, John 14:1-2, 1 Corinthians 2:9, Colossians 1:16, Psalm 37:4, 1 Corinthians 15:40-44, 55, Revelation 21:4, 1 Corinthians 15:52, Psalm 16:11, Ephesians 1:17-18, Revelation 21:21, 22:1-3, 21:22-25, John 3:16: John 14:6, Acts 4:12, 1 Timothy 2:5. The goal of this book is to give you, as a Christian, a glimpse into the path God has purposed for your life and to help you seize your destiny and purpose. In doing so, you will be able to live the role created for you. 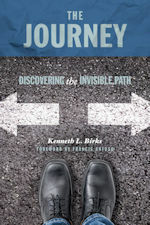 Whether you are just starting out on your journey, anywhere in the middle, or have become detoured and lost your way, this practical guidebook will help shine the light on the invisible path that not only leads to God’s goodness and experiencing His kingdom within, but also to the greatest adventure of your life.